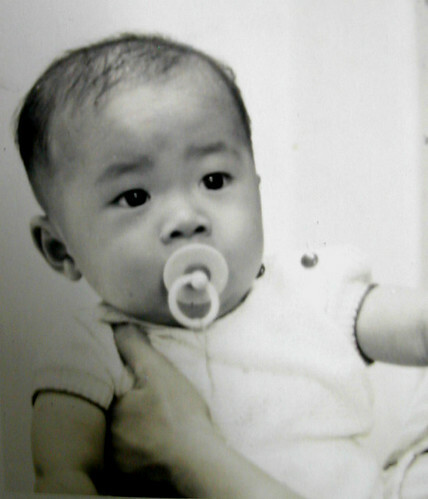 My beginning as a Singaporean occured in 1962 at the then K.K. Hospital. Of course, I may not be able to remember the earlier few years of my life, but I will try to pen down what I could recall before my memory fails. – Start to reminisce about the past but can’t remember the present. wow! awesome blog! i was also born in kk, some eight years after you – but your blog sure brought back memories 😀 thank you! keep blogging. Welcome here. I really miss that MPH (that one near to National Museum) and Odeon. If you call yourself Laokokok, lots of us are also ah soh ah cheh ah mah ah kong liao. Guess what I missed … the National Theatre and Van Kleef Aquarium. Hey, that’s a very nice blog you have there! Thank you Priscilla and welcome here. Hi, I’m a Singaporean too, and I’m 5 years younger than you. I simply love your blog, it’s the most wonderful blog I have come across till now. I hope you don’t mind I add this link to my blog. I like the old photos of Singapore, may I know where you found them? but i still think that this is a great blog! Thanks Josephine and hope this blog is of some help to your school project. Thanks for your blog. I recall the Kallang Gasworks, the hardware (? )businesses operating from the shophouses just before the gasworks on Kallang Road , the chicken shops at Lavender & the activity in that area. Wonder if you have any information about Sam Tat Building 66 Kampong Bugis? How old is it? How old is that Sam Tat Building I’m not too sure. But if you look at the 2nd photo in that Kallang Gasworks post, you will note that the Sam Tat Building was not there yet in 1961. So it should probably be after 1961. You may check those old photos in PICAS to see roughly when that building was built. Thanks Vj. Oh some photos are missing? Will look into it. read about new world. will it be possible to speak to you about it. Do you have old photos i can look at. would you have one on the state cinema. pl replay to my email. Already replied to your email. Pls check. Thank you for dropping by. Got your website while looking for AETI – saw your photo with Sgt Soo (I think). I was there in 1980 as a regular. I am also born in 1962 but at home – Blk 75 Ganges Avenue. Sad that the building was torn down before I could take a picture of it. Welcome here and a Happy New Year. Yes, I think it’s Sgt Soo too haha. Forgotten his name until you mentioned it. I wonder if the AETI still inside the Changi Air Base now. The outside seems to have totally changed and now the security seems so tight. In the past, the public still can drive or walk inside the road, now it’s all under the Air Base, which is out of bound. Bring me back to the 80’s when I was in Rangoon Road Secondary School – 1983. Missed those days when I was schooling there. Keep up the good work, great blog. Thanks DC and welcome here. Happy New Year to you. I really miss all those days in Beatty Primary school. I will keep in touch with you soon. I am now staying in Bangkok and will be back to Singapore this April !!! Good site keep it up! Guess I should be one of the youngest readers… born in 1983 but I already start reminiscing about my childhood and Singapore’s past. Always love retro things… things that tell stories and they really intrigue me. Welcome here and it doesn’t matter whether you are the youngest, just enjoy your read here. Hi loved your blog.I am from India and have not seen Singapore but music does make the world a family does’nt it? goodness…i was born in 1979 and also studied in Beatty Primary School from 1986 onwards. those were the good old days. i used to live in hamilton road right next to the holy trinity church. could still remember taking the trishaw to sch every morning with my bro, eating paus from swee choon and those good old cny celebrations in that area… im hoping to get in touch with some classmates whom i’ve lost touch with after i left beatty and moved to the new town. to any classmates who studied in beatty pri sch from 1986 onwards, pls contact me at bern_swee@yahoo.com.sg. thks for the great blog! Hi Jess, welcome here and thank you. I happy that you like that music. Hi Bernice Swee, I remember Hamilton Road where my classmate was staying there too. Once my friend and I had to run all the way to his house to wake him up for the PSLE Mother Tongue oral exam! Came by your website by chance. Thank you for sharing out through you blog the ‘old’ Singapore i use to know when i was a young boy in the 70/80s. It’s is really good to take a trip down memory lane and look at the old pictures again. I wonder if i should start taking more pictures before the more old places or landmarks are torn down. Welcome here and thank you. Yes you should start taking photos of Singapore now before they are gone. Hi and thanks. I’ve taken the liberty of forwarding your website to 2 of my friends where were born in the 60s. Perhaps they might have something to share. I hope you won’t mind. Haha. your statement above is intringuing. I’m not 40s yet but i’ve started to reminisce about the past already! Gee. Currently my students at VS are embarking a project on ‘The Making and Meaning of Katong’. Your posts on Katong and the changes to Sea View Hotel were excellent resources indeed. Wow, thank you for this wonderful site. I am only 3 years younger than you so about the same age. Born and raised in Singapore, finished my NS, came to the U.S. for college, met and married my American wife and have been living here in San Francisco Bay Area for the past 20+ years now. Found Giant Robot on Hulu.com, did a Google search and found your site and was suddenly brought back to old Singapore! From pictures of Katong to old Primary School Report Books to POSB account books to TDK Cassette Tapes! Sure made me feel nostalgic. Trust me, sitting here in a corporate America office and looking at old pictures of New World brings back the strangest but fond memories! P.S. Sad thing is my Primary School – Rayman Primary School in Whampoa is gone. My old Whitley Secondary School is gone (moved to Bishan I know). Thanks for surfing by and glad that my blog brings back fond memories for you. this is indeed a great site! I salute you for all your investigations into the history and heritage of Singapore, as well as the many changes to her landscapes. Great great work! Thanks Delvin. I’m glad you like this blog of mine.. I was also in Beatty primary and later Beatty secondary. I am 2 years younger than you. I still remember the push cart Yong Tau Foo outside the school every evening. Use to save my pocket money so I can have 3 pieces for 10cent with unlimited soup! The Wan Ton noodle at the coffee shop outside is just as good too! I am now living in HK for the past 20 yrs. When I am back to S’pore I might just take a trip down memory lane! Welcome to my blog. Both Beatty Pri and Sec School buildings are still there but no longer operating as what they used to be. The area near the schools have changed tremendously too. Hi Laokokok, i’m lao Hero here, i’m also born at KK Hospital, but is early you three years, so, younger friends call me : uncle jack, i’m grandfather already, and i’m same to you, recall my younger time memories, on the time just new year have soft drink, chicken, duck…. now the children’s so happiness, any time can enjoy great foods. I just quit my job two months ago, still relax to find new job, on the same time start to crazy about vinyl records, going to sungei road to find it, see that old old things can recall my younger stay at kampong life time, recall my late father, late wife. Oh, forget to tell you, i know your blog is from yahoo search engine, now i looking vinyl records is from website, are you still keep that records ? i very interested. Im born 14 yrs later than u … Have already hit my 30s. And im always thinking that those good old days in this world have gone by and will never be the same anymore.. I stumbled upon ur blog by chance. It kept me reading on and on for the past 2 hours.. poring over each word each map and most impressively the paper bags. Welcome here. I’m surprised that though you are 3 years my senior, you are already a grandfather! Peter, Chun See and Victor – are you guys grandfather already??? Haha! I’m glad that you enjoy those oldies like many of us here. Surfing for old Singapore/ old classmates; surprise to have found one old classmate Yeo Seow Eng having visited your site. We were classmates for 5 years; he was in a different class in year 6. For his info; Rayman Primary school though defunct; building is still there; the triangular shaped school field and even the school canteen ! It has shrunk somewhat in total land area though. Demolished are the toilets and equipment shack ! I’m surprised to hear that! Indeed it happened – you managed to find your old classmate via this blog. Thanks for the info on Rayman Pri Sch too. Wow, nice to hear from you! I remember you indeed. Please drop me an email at and we can catch up with old times! It’ll be a trip, haven’t seen or heard from you since Primary 6! I came across your site by chance and what a tearful walk down memory lane your blog has been for me.I grew up in Katong in the 70s.We lived nearby St.Pat’s school.I was surprised to learn the demise of Yeo’s Bros,Odean,Siglap market and CHIJ altho I went to Katong Convent.How things have changed.When the Gov reclaimed the land behind our house a certain innocence was lost.Of course we understood the urgent need for the Flats but Katong never really got over it and lost that certain sleepy seaside charm it had.I’ll never foget eating ice kachang by the beach.And being afraid of Pontianak hiding behind banana trees at night too LOL! I miss my Katong and those happy and carefree days.We also liked going to Changi beach for a change.My parents loved the long ride thru Bedok to get there.Old Bedok that is.Sigh!Such wonderful times.Thanks Laokokok. Have a nice day everybody in S’pore. Hey, i love reading ya blog. It is really addictive! I enjoyed all the articles & photos u’ve shared with everyone here. U must be a history lover. hee.. Thanks and welcome to my blog. I’m a history lover now but when I was a student, I did badly for my History subject. I am also from Rayman school. The one storey building bring fond memories. I was searching whether they have demolished it because today newsapaper said the Boys Bridgae school at ganges is the only one remaining in Spore. That one at ganges is the same as Rayman school. I was one of your mahjong kaki at Jeff’s place at Toa Payoh. Fat Dragon Heng would like to meet up with you. And thanks for not revealing my name and who am I…haha. This is an incredible blog that you have created. Congratulations! I’m also one of your mahjong kakis at Toa Payoh. See if you can guess who I am. I recognise your alpine white colour Yahama hi-fi set, it was my dream hi-fi… and I think later you had a Nakamichi tape deck, …. and your Lobo LP. haha. Wah, what’s happening today? All started to Google about their kakis today? If you are one of my majong kakis in TP and been to my house before, then I should know who. Especially one who is interested in Hi Fi – you must be L.Y.L. – the one who go to the studio and jam too. Thanks for not revealing my name. Your blog is really great. My husband is about your age and used to live at Lor L and Langsat Road. He was from Haigs Boys and Presbyterian Boys School. Your blog is so interesting and colourful that it brought back all the sweet memory of his childhood. He loves telling our 7 years old daughter of his childhood days at Katong area and your blogs adds more visual to her. Keep it up and we look forward to read more of your blogs. Have a happy day always! Cheers. Welcome here and I’m glad both of you like my blog. I’ll keep blogging and hope you will be back for more. This is amazing! I was just googling for nostalgia sake and stumbled on your blog — and what memories you have evoked. I was also from Beatty Primary School — same year as you. What class were you in? One of my fondest memory was buying prawn crackers from an old man through a hole in the fence near the tuckshop. He’ll always come around recess time and stand at that spot along the fence. Keropok has not tasted so good since! Wecome here and thank you. Glad to know another one from Beatty Pri too especially one of the same year as me. Well I’m from 3D in 1971 and 4A in 1972. Are we in the same class? Anyone has pictures of the old Yaohans at Plaza Singapura, Thomson Plaza or Katong? Thank you Wan and glad you enjoyed reading it. I stumbled upon your blog while looking up about Singapore nostalgic past. I’m just curious about the grey building near Marine Parade Library. It looks like an old colonial building maybe hotel but has been divided by a road (Still Road if I’m not wrong. Do you have any info? That should be the Grand Hotel in the past. Hi Yan, LKK is right. Its probably the Grand Hotel and the road that divides it into 2 is Karikal Road.I lived nearby and you should have seen the area before that big dividing road was installed.It was a lovely area so peaceful and calm. As kids we used to sneak into the Hotel grounds to ‘cut short’ to the beach and eat ice balls at a little snack bar nearby.I’ve forgotten its name.I’m so melancholic thinking about it. I have no idea if the Hotel is still running. I knew a girl who grew up and later worked there called Regina Ng. Thank you Vj, I’m glad you like my blog and those old lifestyle. Both my primary and sec school still there but are no longer what they used to be 😦 Beatty Pri, now an Indian centre(school) and Whampoa Sec, now become Bendemeer Sec school. You are right Vince, as those old landmarks are slowly phasing out; what’s left are our memories of those good old times. I really enjoyed your website, I was born in 1966 in Malaysia, but my father is from Singapore. I had a wonderful time looking at the pictures and your write up about The Tiger Balm Garden. It was really fantastic back in the day. It was really a place where your imagination can go really wild when we were kids! I was really scared out my mind with the scale of the statues and sculptures, but then again, when we were kids, everything seems larger than life. Thank you for posting the picture of the beautiful original mansion too! Thanks Peter and glad you enjoy reading my blog. Your blog sure brought back some small memories in me of the Singapore I visited pre-1970s. I’m from Hong Kong myself and visited Singapore fairly regularly until the mid-1970s because my maternal aunt “married over” there. But today’s Singapore is a different kettle of fish, isn’t it? I’m no way saying it’s better or worse – it’s just different now. Bro, we were of the same year in VS (75 to 78), we’ve definitely crossed paths in school and for sure, we’ve shared the Court for Soccer!!! Anyway, i came across your blog from Abang Victor’s link and am glad that i did!!! Thanks Roshaizan Sapan. Another Victorian! Yes Singapore now definitely is totally different, but be it good or bad,…it all depends on what issue. God I loved the Singapore of the 1960s and ’70s. Thank you Joops and glad to find another Victorian here. Cheers! Fantastic site, just what I was looking for! Had the most wonderful time of my childhood when I lived in Singapore 1966/1968 with so many cherished memories. My father was posted to Seletar and we lived in Marine Mansions, Sea View Avenue, Katong. For the first time since then it looks like I may have a chance for a short stopover in Singapore later this year and would love to visit as near as I can to what used to be home! The address no longer exists on any map of today, but if you or anyone else out there can help, I would be so grateful. The flats used to look out over the sea, and at the top of the road was, I think, a small Roman Catholic church – it had a beautiful magnolia tree in the grounds. Many thanks! LKK. Me born in the same year as you. Mum says she paid $5/- hospital charge. Nice Blog … Bring back beautiful memories of yesteryears. Welcome another tiger here, Johnson. I am 2 years younger than you. Do you know the place at upper bukit timah road inside the forests where there were lot of kampong villages/houses used by chinese family in the year 1970? Sorry I’m not familiar with that place. hey, happened to browse around and chance upon your blog. so nostalgic. almost churning my stomach around. keep it up! totally enjoy your photos and reminisces. back so many memories, especially now that I’m so far away from home. It’s my pleasure to add your blog to my blogroll! Hi Sharifah, thank you and glad you like my blog. Cheers. Stumbled into your site, while reading about Cecilia Chung’s second pregnancy, which lead to a search for Tse Yin on google….saw his younger days photo..and into your blog. Unfortunately I lost my treasur chest of memories, while moving house many years back, it contains most of what you put on line or more. Anyone remembers the FANFARE magazine of the past?, Paik Choo, Siva Choy, Kitchi boy and so forth?. Anyone have a copy to show? I collected them from 1st issue to last…hence the treasure box lost.. Thanks for the memories…if any reading this, anyone remembers OUTRAM PRIMARY SCHOOL?, I can’t seem to find info of this school, which I attended from 1962 to 1963, Primary 1 to Primary 2…when I was staying at Tiong Bahru. Hi your blog is really detailed! Appreciate the efforts you have put in when writing about the places in Singapore. I was amazed by the maps you have found and the stamps, post cards.. (Botanic Gardens) Help me a lot in my history assignment! Thanks! Hope you do well in your History assignment. I just came across your blog by chance and it really brought back a lot of memory. Haha, I was born in KK, probably a few months after you in early 1963. However I am now living half a world away. I am a nostalgic guy and love what I see in your blog very much. I am sure I will be checking back very often. Nice blog, thank you! I have enjoyed reading it! Please keep on as memories of the past is a medicine for me now! I must say you have invested quite a bit of time to share the innumerable and varied moments in your life in lovely Singapore. You have made similarly commendable efforts in Images of Singapore. Thank you so much for this labor of love. It is going to take me and others with me a while to “amble” through all these pages so wonderfully rich in imagery and narrative…as you transport us back in time to a bygone era as well as things more recent which I can identify. Just a thought….have you considered collating all these onto a CD which gratefuls like moi… can return our appreciations in some form:)? This will allow me to share with others offline as well. So you are now half a globe away from Singapore. Glad you are dropping by my blog and pls drop by again. Good day. Glad you like my blog Silvia. Thanks for your suggestion JMA. Probably one of these days, I may seriously consider it. After reading some of your posts, we are in fact “distant neighbour”. I lived in a shop house at the corner of Levander St and King George Ave till 1972. (I think it is now a Hotel 81 but they have pulled down the old building and replaced with a new one). I remember my grandfather would bring my brother and me to a place between New World and Beatty School on Sunday mornings and hang his bird cage on a pole where everyone showed off their pets in some kind of “Bird show”. And he would order us a cup of Milo and we would have to share with one drank from the cup and the other drank from the plate!!! My brother went to Victoria School and I went to Catholic High. My teenage” playground” in the 70s would be the Bras Basah and Stamford Road area. When I last visited the place about 2 years ago, it was very sad to find that it had totally gone and being replaced by SMU. Very Sad! What a small world! You were staying so near to me and your brother was also in VS too. Yes, what a small world! And I am here in Canada reading your blog!!! Thank you. Keep up the good work and you bet I’ll be following what you write. This is a fab site. Singapore has just changed so fast for all of us, I think, regardless of age, to account for every bit of our youth, but i like the flashbacks from the stories you’d picked – It shifts my timeline back to when the pace of life was probably more…fun. More flashbacks to the 1980s would be valuable to some of us (I certainly won’t complain!). Up to the 1990s, I still had copies of RTV times lying around the house. Your Blog is indeed one of my wonderful discoveries online . Thanks and Congratulations. I am going to be an ardent follower of this. My son shares the same birth place as yours and he is 1 and half year old now. I am so excited to read such personal account of Singapore, a place I deeply love. Your blog can be a great help for the next generation too…Keep up the good work. Thanks Priya and glad you like my blog. Man, talk about memories! I am six years older than you. I now live in North Texas, USA! I miss growing up part of the time in the Joo Chiat, Marine Parade area. I even remember Frankel Estate. I used to attend St. Patrick’s Secondary School. Here is a good story for you, it is absolutely true. My brother who is 5 years older than me used to involve me in some of his mischief and adventures in the sea during low tide at Joo Chiat before the land reclamation. During low tide we used to go out to the exposed shore where we picked up rifle ammunition and unexploded munitions (airplane bombs from the Japanese attacks during WWII). My brother and I picked one of those bombs up and brought it to the Joo Chiat Police Station just as it is pictured in your archive photograph. You should have seen the reaction from the policemen! They were scrambling to get away from us two crazy boys. It was then that I dropped my end and the nose of the bomb hit the hard floor in the station. The police officers were diving through doorways and windows to escape the blast that did not happen. It was so funny that I did it again! I was borned 1953. My address then, c/o 850 Serangoon Road (Bendemeer House addy). Was your father’s old house near or opposite the old location of AUPE? Was it in the same roll as a Chinese barber shop? Thank you for your compliments and happy to know you like what I’m blogging. For someone not yet 50 I am amazed that you call yourself laokokok haha.. But I must say I really enjoy reading your blog. I still have some catching up to do. I am in my late 50’s and I guess you are right that when age is catching up one starts to reminisce. Remembering the present isn’t so much of a problem for me personally; remembering the details of the past is. i stayed in the dakota crescent area up to 1977. What a great blog ! Thanks for your time and effort.I couldn’t believe my eyes when i saw the pictures of Kallang gasworks where I used to walked pass to the Kampong Bugis Community Centre. Your blog has brought back so much fond memories of our childhood days when my family and I was staying at Nam Lock Street and Kampong Soopoo. Thanks and Keep blogging ! I was from 1D to 3D, then 4P to 6P. Guess we’re in the opposite session. But it’s great knowing you — albeit online. Reading what you’ve written certainly brings back all the good old memories. Hi Laokokok I must admit reading your blog was one beautiful trip down memory lane…. younger than you but old enough to have had the experience of bowling at Jackies Bowl at Katong, cabut from Siglap Secondary at Cheviot Hill and go dwn to Jackies. I am Lin the lady that is looking for those softball medals…..hope you know someone who can show me the medals…I need to duplicate them for keep sake…..keep those blog of yours coming it is so nostalgic! Anyway thank you for the trip. Fantastic blog. I stumbled on it by chance. I am a Brit and used to live in Singapore during the early 90s (ok it’ snot the 40s or anything). I came back in 2005 but i long for those days when Singapore was a bit more laid back and less built up. I miss the Satay club, MPH (nr the old National Library), the shop houses along Selegie Rd (which have now been razed to the ground), Capitol cinema at City Hall and the lovely memories of Changi Terminal 1 with its taxi drivers milling around wearing shirts with orchid prints on them… I even miss the old Toyota Corolla taxis! Hi I was from Rayman School and Victoria School. I am now living in Australia. Really miss all those times when I was in Singapore. Whoa! Very interesting blog. At 50 this year, you’re still very lucky young. Geylang was where I grew up in. Lived on the main road, Lorongs 10, 19, 20 and Jalan Molek off Lorong 24A. I’m giving your blog link to my old school mates (from Geylang English School) and hope they follow it. We have a very slow moving blog at http://geylangboyz.blogspot.com/ Can’t help it, we’re all 69. Oh yes, how’d I land up here? One old buddy suggested a tour of the Old Mansions, and I just clicked away, and then reached here. Used to live in Braddell Heights, and before transferring to the new RGS on Anderson, I’d be driven everyday all the way down Serangoon Road, pass KK Hospital where it intersected with the stinky Rochore Canal, and then on to Queen’s street. Singapore used to be unique, now it looks like any other city in the world:Shanghai, Dubai, Los Angeles, Manhattan, Singapore, K.L. tall , sterile, ugly edifices of glass and steel. I end up here, as was looking for old photos of Haig Road, after I discovered that the Lion City Hotel just ‘vanished’… I was born in 1962, and went to Fowlie School and TK Tech … spent my week-ends collecting ‘Matchbox’ toys from a ‘hobby shop’ from a 2nd floor shop unit in the arcade adjacent to ‘People’s Emporium’ that is within the hotel’s vicinity. Before HDB built the HDB residential flats, there were many Government quarters on what is now Blocks 1-14 Haig Road. This blog lets me reminisce the old good times … thank you, Laokokok! I was born in KK too, but 20 years after you! I am a fellow blogger and was blogging about my own trip to Haw Par Villa to share with friends when I chance upon your blog! Very good and gosh, I think I am getting old too, missing the good old things about Singapore, e.g, Marina City Park, etc. Anyway, a brilliant blog, I shall be reading your various posts and continue blogging! I came accross your blog when I was seaching for old photograph of the Whampoa river. I am more Laokokok than you. I was born 10 1954 at Bajerai Lane. The Namseng Hua Yuan was opposite the place we live. I lived in that area for 15 years, moving to Jln Tenteram in 1968. During spring cleaning, my mother and other neighhours would go to the Namseng Hua Yuan to get bamboo for the cleaning. I entered Balestier Mix School in 1961 and later transfered to Beatty Integrated Primay School in 1963, the year Beatty Pri Sch started operating. I remember seeing the sawmills at the side of the Whampoa River. The Sesame factory was there too, Now the Chee Seng Sesame Oil Factory is at Defu Lane, near the place where I am working now. Looking at those old photos put up by you brings back fond memories. I also remembered Raymond School, I used to pass there when I go for my Dental appointment at Pegu Road. Hi,love to read your blog.Bring back many beautiful memories of my childhood in Beatty area n Tronoh road area..bro,when did u leave aeti? Hi, I am so thrilled to read all the blogs on this site. By the way, laokokok, you and I are both born in the same year. Have you any information about Block 101 Lorong 2 Toa Payoh? If you haven’t, can you point me in the right direction for more info and photos, please? Thanks heaps. Keep blogging. You’re doing an excellent job. This community is also really cool. Cheers, Everyone. I was elated when I chanced upon your interesting blog while in Facebook which reported the passing away of Mr Boh, your late form teacher of Secondary 2G in 1976. Seeing the nostalgic photograph of Secondary 4T1 of Victoria School’s Class of 1978. it dawned on me hat we must have been classmates from 1977 to 1978. After my secondary education in VS, I joined Hwa Chong Junior College for my A levels, served national service before proceeding for further studies, first at NUS and then subsequently in the United Kingdom. I am a father of two children and am residing in the East Coast area for over 20 years now. It was really great to read a former classmate’s award-winning blog. Cheers! My email is: andrewgl@singnet.com.sg if you wish to contact me. Hi All, I just stumbled to your blog when trying to get info of our area in the 6o’s. Yeah like you have said,”someone ever said these are some of the factors to tell one is aging;” We have come to of age! Anyway, what interest me most in this is just look like I found a schoolmate from Seraya Primary while my secondary school was TKTSS. I too was born in 1951 and had lived around Mountbatten Rd and love the sea of marine parade before it was reclaimed. I still remember when TKGS & TKTSS having the same sports day. Thank you & take care of your great lifes. Hi… if you are from Rayman school please email me at raymanschool@gmail.com. Thank you. I sm one year your senior. I was born in the 1964 I don’t bookmark blog in my laptop but this is exceptional.thank you for the reminiscing.